32 teams took part initially playing in eight groups of four teams. 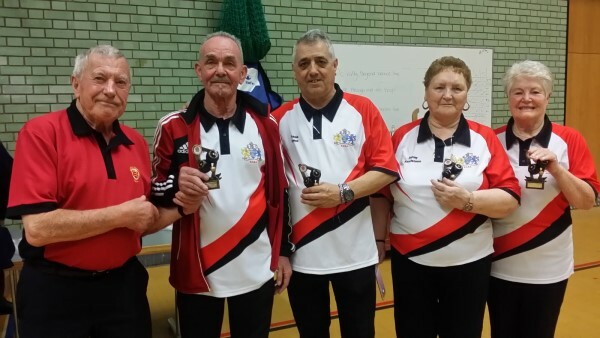 On the day there was one team taking part from Sunderland, three teams from West Sussex and the remaining 28 teams from the Eastern Counties, with most from the hosts County Essex. 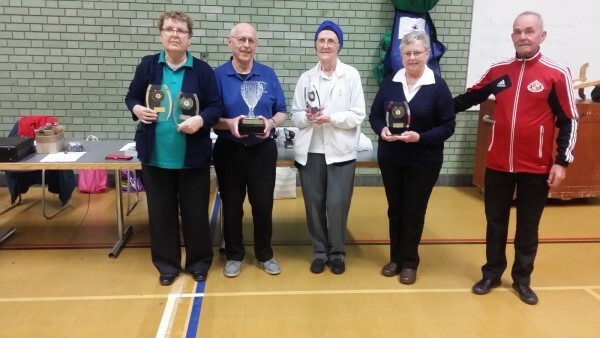 The winners & runners-up of each Group went through to the knockout out stages of the main competition with the third and fourth place going through to a supplementary knock out 'Plate' competition, giving every team taking part a minimum of four games of eight ends during the day. The remaining 16 clubs played in the supplementary 'Plate' Competition. And it was the long distance travellers from Sunderland who found their form to reach the final against the local team from Little Easton. The final the Sunderland team of J Sanderson/L McGahan/Colin Young/F Froud get the better of the Little Easton team of Brian Jenner/Tony Gypps/Mike Walsh/Kevin Boxall to win the match 11-5. 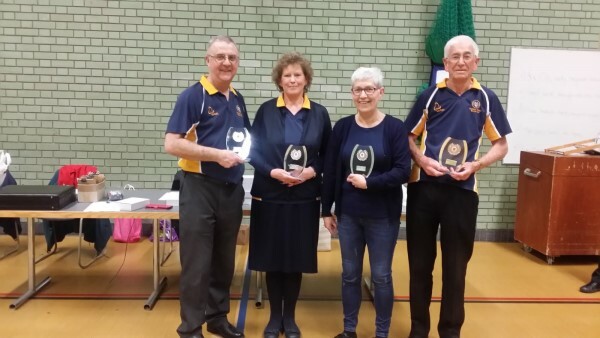 There was some outstanding bowling and close games with the eventual finalists being the Ellesmere (Cambridgeshire) team of Margaret Clemmet/Barbara Upex/Angela Newling/David Clemmet against the Chelmer Village (Essex) team of Sandra Dekeyzer/Ann Patrica/Duncan Lumley/Tony Bareham. A close match went all the way to the last end with Ellsmere eventually winning 8-5 and take the title. Many thanks to Essex for arranging the competition and to all teams who took part in a good days bowling. Special thanks go to Marie Boyton/Anthea Bushe & Val Kidd for running the Raffle, to Alec Russell for all his work on the day and especially to Duncan Lumley for setting up and running the competition. You can find a list of the previous winners here.